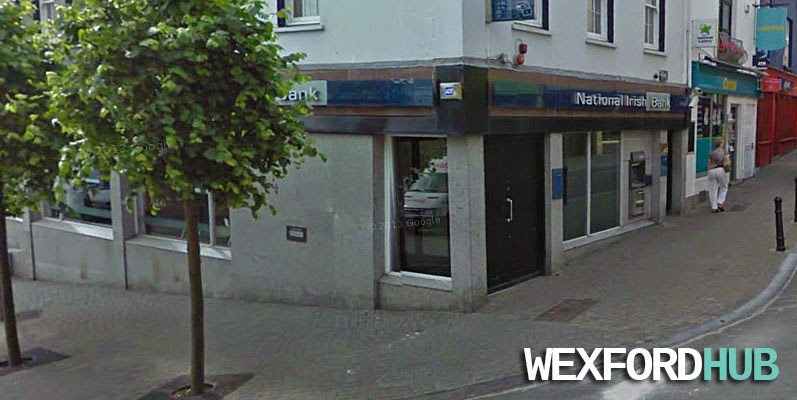 A photograph of the National Irish Bank premises, which used to be located on Wexford's North Main Street, next to The Bullring. In 2012, all branches of the National Irish Bank were closed, with the bank re-branding itself as Danske Bank. 100+ staff members took voluntary redundancy as a result. Nowadays, this premises is being used by Stone Solicitors.